With Mothering Sunday approaching, and following on from the competition that Natalie has launched on our Facebook page to find three deserving mums to win a prize, I wonder how many of us would realise that we are all Parenting Super heroes in our own right (just without that capes)? Once we have children our focus shifts, from what and who were important before, to these new perfect little creatures. There suddenly becomes a small person (or little people) that require our attention. We realise that previously spontaneous events now need careful planning. They require us to educate them with life skills. We are in charge of their safety and wellbeing. Suddenly we become the headline entertainer. You are a chef, nurse, doctor, nurturer, disciplinarian, fashion stylist, washing machine junkie and usually all on very little sleep. Often we doubt and second guess ourselves. We can regularly emotionally beat ourselves up over decisions and choices, words said or actions taken. Add into that organising yourself, home, family, partner, school schedules (if they are old enough), managing finances and getting the balance right if you have employment too. Goodness, it makes me feel faint just thinking about it. There is also the worry and concern that you experience as a parent of a child with, or indeed if you have, a medical condition. The rollercoaster ride that you unwittingly got onto when you or your child received this diagnosis is a hair raising one. Full of up’s and downs, tears and laughter. Sometimes a very lonely one. From planning hospital appointments and parking, to preparing everyone for treatments, surgeries, sourcing equipment needed and the anxiety after x-rays or scans whilst awaiting consultant feedback. The stress can be exhausting and all consuming. So, that brings me to the question of how can you make it any easier? I guess, in part, there is no quick fix, no simple answer or magic wand. But there are some principles and ideas that may help, a sort of buffet to pick and choose from. Share the burden. Talk to family, partners, friends about how you feel, your concerns and that ever growing list of things to do. Don’t shoulder everything alone. Can you divide the work load with somebody? Could somebody share the school runs, or organise dinner, or babysit? Ask for help. There is no shame in asking for help. Sometimes we assume that people realise how overwhelmed we feel, but they don’t always or they simply don’t know how to help you. Use our Facebook forum to connect, ask questions, vent, share or just to read other peoples stories. Access our one to one buddy system if you need to talk to somebody privately about DDH that has been through similar experiences. Find some time for you, 5 minutes, an hour, an evening, whatever you can manage. Plan what you are going to do with that time. Read a book or magazine, play candy crush, soak in a bubble bath, get your hair blow dried, paint your nails, meditate, catch up on your favourite programme, listen to your favourite song on repeat, sing, facetime a friend, get dressed up and go out, watch a movie, do some adult colouring in, make something, order a takeaway, put on a face mask, lay down and do nothing. Whatever it is do it for you. You know that none of us are perfect. In fact most of us are winging it! We try our best and sometimes we make mistakes, but in my opinion one of the biggest mistakes we can make is to forget about ourselves. 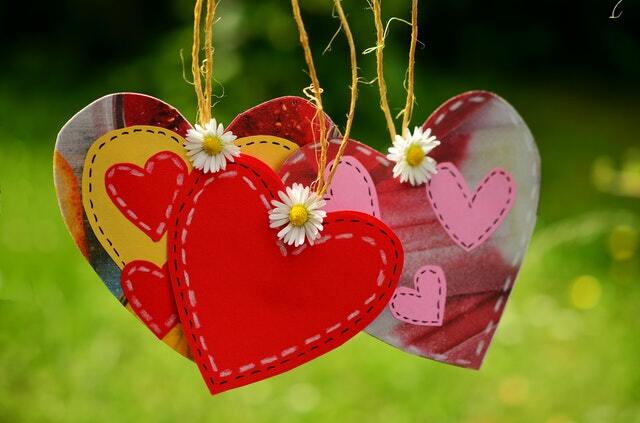 Our loved ones will always be our priority, but we must make us a priority too. Who cares for us if we don’t care for ourselves? Remember the saying, “You can’t pour from an empty cup”. So, how will you fill your cup today Super Parent? What do 1156 people have in common? Well at time of writing this post, that was the amazing number of members that our Facebook forum now has, and at DDH UK we can hardly believe it and are absolutely delighted. The growth of the forum has been phenomenal, and within recent months the numbers have gone from strength. It is incredible to think that over a thousand people have come together to share their hopes, experiences, concerns and emotions and what a community we have become. When Natalie started the Facebook forum, over 18 months ago, she was a woman on a mission to put DDH on the map, both with the medical world but also as a signpost for parents. With her book, Cast Life, being published and distributed worldwide, the development of the DDH UK website and writing accurate easily understandable information for parents, carers and sufferers of DDH Natalie was a busy woman indeed. All of this was going on whilst being a mother, a wife, a business owner and continuing to be her son’s advocate and carer. Oh and navigating a relocation to Devon. The birth of the Facebook forum was a way to help bring people together that were experiencing the rigors and worries of their child being diagnosed with DDH, a place of support, advice and connection. The things that Natalie needed and wanted when her son Lucas, now 8, was diagnosed with DDH as a baby. Over the past year and a half, the forum has grown both in number of members but also in the support that is offered. We have found that now we not only offer help to parents but also patients and links are being made and gaps being filled. We are an International group, we have friends now from the UK, Ireland, Malta, New Zealand, USA, Canada, Australia and even Japan. 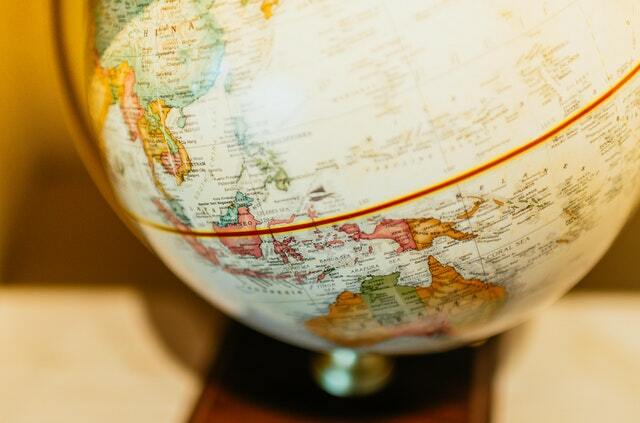 The group has a team of International admins who work tirelessly to monitor the page 24 hours a day. They respond to member questions or link them to others that may have already been through a similar experience. There are regional (and country) messenger groups that allow local people to chat together and arrange meet ups. Karen Kerr and Stacey Vassallo are both great members of the team and offer a one to one private messenger buddy system to help parents and carers through the difficult times if they need to talk about things. Karen has recently written her book, Spica Warrior, and Stacy has done some amazing fundraising work with her son – more of this in the next couple of weeks. DDH UK launched the ‘Dine With DDH UK’ earlier his year, which sees a monthly voucher awarded to a family for them to enjoy a trip to Pizza express as a family. We also have the “Coffee and Cake On Us” which is a Costa Coffee voucher that we send members that we feel could use a little boost. Erin McHugh runs a separate Facebook group, ‘DDH Equipment to Buy, Donate, Sell or Swap in the UK’ that is a safe place to share, research or search for equipment that you may need. There are so many new projects in the pipeline and exciting announcements, including a brand-new award, coming very soon so watch this space. This DDH army grows daily, we, together, like the children that we care about are unstoppable. Thank you for being part of this amazing group of people and showing your support, sharing your experiences and being part of our DDH UK family. It is a while since the last DDH UK blog post, but we are back and with big news. One of our team, Karen Kerr, has been in the spotlight over the past month and for good reason. Karen’s daughter, Lauren, has had a lot of treatment for DDH and today is the most amazing little girl with a smile that lights up the room and a passion for life that is wonderful to see. Her hips are now healthy and see her dancing, jumping and leading a full life. However this wasn’t always the case. 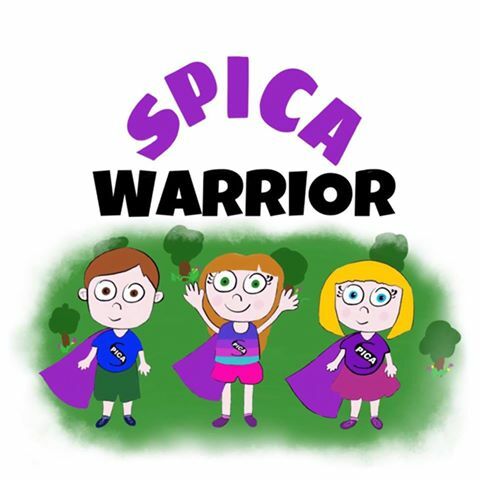 Karen and her family found little help or information when they were on their journey with Lauren and this brave mum decided to put a change to that and has written ‘Spica Warrior’. The book use clear, easy to understand language and the bright, colourful characters jump of the page and put a smile on your face. There is no doubt that this will be a well received book in the DDH community, not only in the UK but around the world. We wish Karen all the very best with this venture and are sure that it will be a huge success. The beautifully illustrated book can be purchased direct from Etsy and is £5 plus shipping worldwide. A REMARKABLE Stover School student will walk a mile with his classmates in aid of a charity he inspired. Lucas Trice, a Year 2 student at the Newton Abbot school, has spent much of his life being treated for hip dysplasia. To help raise awareness, and funds, of hip dysplasia, Stover School will be joining forces with DDH UK and ‪on March 1, the pupils and teachers will be walking one mile around the grounds. JANUARY 2017: DDH UK, the only charity in the UK dedicated to supporting families dealing with hip dysplasia, are gravely concerned about plans by the NHS to only refer patients for hip surgery if their pain is so severe it interferes with daily life or the ability to sleep. In a cost cutting bid to save £2million a year*, it is claimed that health trusts are already tightening up their rules in a bid to slash operations by a fifth with others also looking to use a scoring system to rank patients’ pain for both hip and knee operations. The charity is supporting more and more patients, from teenagers to those in their later years, who are facing hip replacements, often due to the effects of having hip dysplasia (DDH). DDH occurs when the hip joint fails to develop correctly and 2 to 3 in every 1,000 infants will require treatment* and whilst not life threatening, it can lead to pain, disability and the need for hip replacements. For more information go to www.ddh-uk.org, email natalie@ddh-uk.org or call 07825 615303. DDH UK is the UK’s only DDH dedicated charity and one which supports families on their journey towards healthy hips. They work with professionals around the world raise awareness of this life changing condition. DDH UK, originally Spica Warrior, was founded in 2015 by Natalie Trice whose son, Lucas, was diagnosed with DDH when he was four months and seven years on he is still on a treatment path. On the first day of Christmas, my hip babe gave to me, a pavlik under the tree. On the second day of Christmas my hip babe gave to me, two rubber gloves and a pavlik under the tree. On the third day of Christmas my hip babe gave to me, three wipes to cleanse, two rubber gloves and a pavlik under the tree. four messy turds, three wipes to cleanse, two rubber gloves and a pavlik under the tree. On the fifth day of Christmas my hip babe gave to me five different slings, four messy turds, three wipes to cleanse, two rubber gloves and a pavlik under the tree. On the sixth day of Christmas my hip babe gave to me to me six strangers tutting, five different slings, four messy turds, three wipes to cleanse, two rubber gloves and pavlik under the tree. On the seventh day of Christmas my hip babe gave to me, seven nappies brimming, six strangers tutting, five different slings, four messy turds, three wipes to cleanse, two rubber gloves and pavlik under the tree. On the eighth day of Christmas my hip babe gave to me, eight casts and counting, seven nappies brimming, six strangers tutting, five different slings, four messy turds, three wipes to cleanse, two rubber gloves and pavlik under the tree. On the ninth day of Christmas my hip babe gave to me nine nurses helping, eight casts and counting, seven nappies brimming, six strangers tutting, five different slings, four messy turds, three wipes to cleanse, two rubber gloves and pavlik under the tree. On the tenth day of Christmas my hip babe gave to me ten nights no sleeping, nine nurses helping, eight casts and counting, seven nappies brimming, six strangers tutting, five different slings, four messy turds, three wipes to cleanse, two rubber gloves and pavlik under the tree. On the eleventh day of Christmas my hip babe gave to me eleven days of crying, ten nights no sleeping, nine nurses helping, eight casts and counting, seven nappies brimming, six strangers tutting, five different slings, four messy turds, three wipes to cleanse, two rubber gloves and pavlik under the tree. On the twelfth day of Christmas my hip babe gave to me twelve new appointments, eleven days of crying, ten nights no sleeping, nine nurses helping, eight casts and counting, seven nappies brimming, six strangers tutting, five different slings, four messy turds, three wipes to cleanse, two rubber gloves and pavlik under the tree.